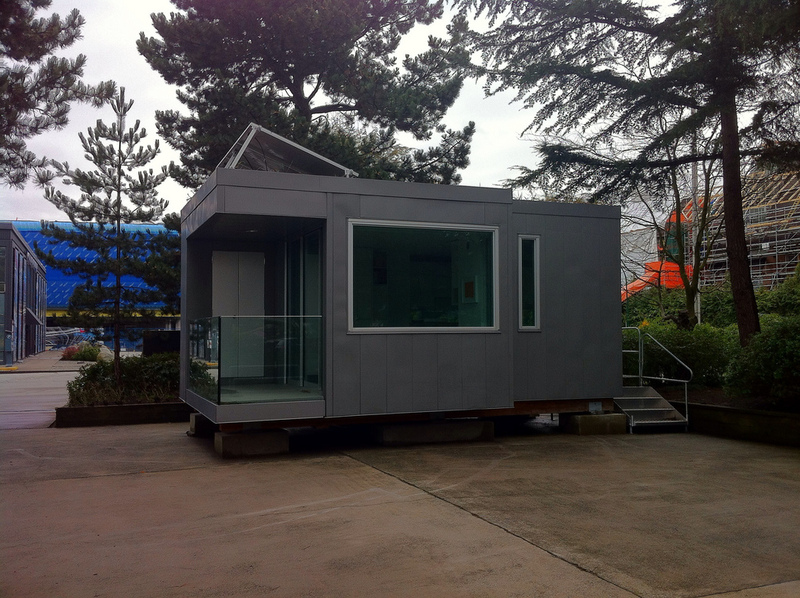 Ever Heard of a Nano Home? While a lot of people dream about owning a huge mansion, there is a price for everything. You see, in the United States, a typical family home costs about $290,000. Keep in mind that this is just a purchase price. Then, you have an interest of about 6.41%, which after a 33% tax bracket comes at about $195,000 over a 30-year time span. Finally, you have to pay about $300 per month for maintenance and around $6,000 in taxes and insurance each year. This is, of course, all without major repairs and improvements, which on their own cost around $300,000 (in the above-mentioned 30 years). Overall, the price of owning an “average-sized” house can cost almost a million dollars over the next three decades. With this kind of housing market, it’s no wonder why 70 percent of the US population gets trapped in the endless loop of debt. Luckily, the solution to this persistent problem can be found in the idea of getting yourself a Nano home. Sure, you don’t get as much space as you would like to, but ask yourself two simple questions. How much space do I really need? Can I afford it? There has been such a thing called a tiny house movement in the United States for a while now. This group of people advocates the abandonment of unnecessarily large homes, that most people in the US currently occupy, and moving into a much smaller place. Now, a Nano house is a home somewhere between 150 and 300 square feet, while a current average for the size of the American home goes at about 2,687 feet according to the estimate done last year. The first noticeable difference between the two homes is the amount of mortgage its inhabitants have. You see, building a tiny house requires about $23,000 in case it is fully built by the owner. When compared to the above-mentioned figures of a regular-sized home purchase, it is easy to understand why 68 percent of all tiny-house owners have no mortgage whatsoever. Aside from being cheaper to build, the price of utilities for a smaller place is also much lower. This results in the average tiny-house owner having much less credit card debt and much more in their savings account on average. Another great thing with Nano homes is that they can be made fully self-sustainable with moderate funds. You see, the thing with the installation of solar panels is that they take quite a while to start yielding a positive return. On average, it can take them 6 to 8 years to fully pay themselves off. With Nano Houses, the energy requirement of your home is significantly lower. Furthermore, seeing how you won’t have to pay hundreds of thousands on construction, you will be able to properly insulate your home and even invest in high-end double-glazing windows. This can reduce power consumption of your home by 40 percent, which means that you will be able to cover all your needs with significantly less expensive (smaller) solar panel system. All of this is just one reason why going with Nano homes currently seems as a good idea. Just to be sure, thought, you might want to ask a professional for an investment property advice before you take any steps in this direction. In the end, what most people are concerned with is the lack of space in your home. Still, the size is optional. For singles, there is a great choice of Nano houses that are probably smaller than your living room. On the other hand, families can opt for a 300 square feet place, which isn’t nearly as small as you may believe it to be. In fact, according to some estimates, even 200 square feet home is big enough for four people. Naturally, this includes a place that has a ton of built-in furniture and compact small-home storage ideas, like floor compartments. Sure, it might take some getting used to at first, but the financial freedom that this lifestyle choice brings is definitely worth a bit of trouble in the first few weeks. In a situation where money is not an issue and you want to have as much space as possible, by all means, you should move into a huge mansion in the suburbs. Still, in reality, there is no such thing as unlimited budget, so you need to ask yourself if these few extra rooms are worth indebting yourself for the next 30 years. While some may argue that this thing is situational, it is much more likely that, deep inside, you already know the answer to this question. ← Downturn refresher: what happens when prices start falling?